Is your CV selling you? Try These Tips! First, the basics – Correct Contact Details. Your contact details must be up to date, and correctly spelt. Remember that errors can cost you a Job? It is not uncommon to get CVs of candidates whose contact details are incorrect or the emails are miss pelt hence bounces. That is a straight ticket to missing out on an interview. Furthermore, when job hunting and you get a missed call of an unknown number, please do call back. Sometimes, when there are so many job applicants, the recruiter moves on to available candidates. A call back also means you can make follow ups which is a plus in itself. Are they looking for a Customer Service Executive? Do you have have similar skills? Any achievement around retaining a client or up-selling through your outstanding customer service? Highlight that. Use keywords specific to that job you are applying for. That means if you were to apply for an Account Manager position, then you would rewrite your CV to capture your Client relationship skills. Basically, one CV is not one fit for all jobs. And if it is not an entry Level position, then be selective in putting your energies in positions that you are confident if hired, your would excel. What we mean is, if you are sending out your CV to 5 different jobs with different job titles and you have the right skill set thus are sure you can do either of the job, then you will be writing 5 cover letters and 5 CVs highlighting why you are best suited for the different roles. This is all about formatting, spacing, fonts, layout and length. We did share a few fonts that are most attractive in the last article. Your CV body font should be between 10 and 12 points and the headings to be 14 and 18 points. When it comes to margins, a 2.5 cm is decent enough. The right spacing does bring out clarity and professionalism. We have seen CVs that are 16 pages long. The common rule of the thumb is that your CV should be at a maximum of 2 pages . If possible one page. What is the length of your current CV? 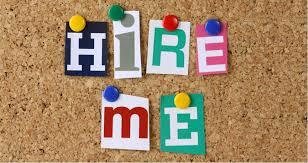 It is advised to save your CV in a PDF format unless advised otherwise. This is because a PDF document will maintain its formatting no matter the device used to open it. Furthermore, another reason to save your CV in PDF format is that most PDF files can be easily opened online thus you get a faster view visa-a-vi a word document file that must first be downloaded before viewing. When recruiters are working against time and they get great pool of applicants from those already viewed online as their CVs are in PDF files, the rest may have to wait for another day. This is where the rubber meets the road. The meaty stuff in your CV will get you the well deserved interview. Your CV should be written chronologically including both years of graduations and work experiences. If you have been out of school for 5 years and less, then you start with your education then go to experience. If you have been working longer, then the experience takes precedence and later include your education details. Do not exaggerate or falsify information for either the work experience or education. The best of recruiters will sniff you out once they do their reference and background checks. Do highlight your honors and key achievement. Focus on your wins. Think through your career as you write your CV and do put effort into demonstrating your most significant achievements that could have led to getting awards, recognition, rewards etc. Avoid too many bullet points and listing “your previous job description word for word”. When talking of your work experience, try to think numbers and metrics. Be clear on the measurable and the quantifiable e.g, Instead of saying you were a Regional Manager at Company Y, you could say you were Regional manager implementing new systems across 3 countries while managing 6 cross-cultural teams. As for extracurricular activities, do focus on those that are most relevant to the job, in that they will add a special touch to show you can indeed do the job. It is a nice to demonstrate that you can manage a team as you hold office in a Not for Profit Community Organization and you have been instrumental in implementing the organization’s mandate even if you may not be in a managerial role in your current employment. Unless asked to include, you can always write a line, “To be Availed Upon Request” or remove the line altogether if you no longer have space. The Subject Line should be the Title of the Job you are applying for. Follow instructions – if told to include a cover letter, do include a cover letter. If you are working with a Leading Recruitment Agency, do ask questions about the potential employer and their expectation of interested candidates.